The American League Wild Card game is tonight and in case you haven’t heard the Oakland Athletics are going with “The Opener” strategy. It’s a perfect storm of events for the A’s to try this out. It’s a win or go home game, Oakland has an underwhelming cast of starting pitchers, and they have a historically great bullpen. The Opener is deserving of its own blog soon, but today we should quickly touch on A’s closer Blake Treinen. The right-hander had an all time relief pitcher season in 2018. Of course, because he plays for the A’s this means it was mostly under appreciated. Treinen will likely get a lot of buzz in tonight’s one game playoff, however, and deservedly so. After all he was Oakland’s most important player this year. You could argue that Matt Chapman (the best defender in baseball) was more important to the Athletics’ success, but it was Treinen who dominated a stat called win probability added. The idea of WPA is that certain situations in a game are more important/more high leverage than others. For example, pitching well in a one-run game in the ninth inning should matter more than pitching well in a six-run game in the seventh inning. Oakland’s closer led baseball this year with a 6.47 WPA. The next closest finisher came in at 5.30. Fourth place was at 3.83. In summary Treinen was more important to his team’s wins than any other reliever this year and it wasn’t even close. If an advanced stat like WPA is too much for you then Treinen’s traditional stats should be enough to warrant your attention. In 80 1/3 innings he posted an elite 0.78 ERA, which happens to be the lowest of all time with a minimum of 80 IP. The 29-year-old also struck out 100, walked 21, and allowed just two homers. His 1.82 FIP backs up his elite ERA as well. The bullpen was the story of the 2018 Oakland A’s. 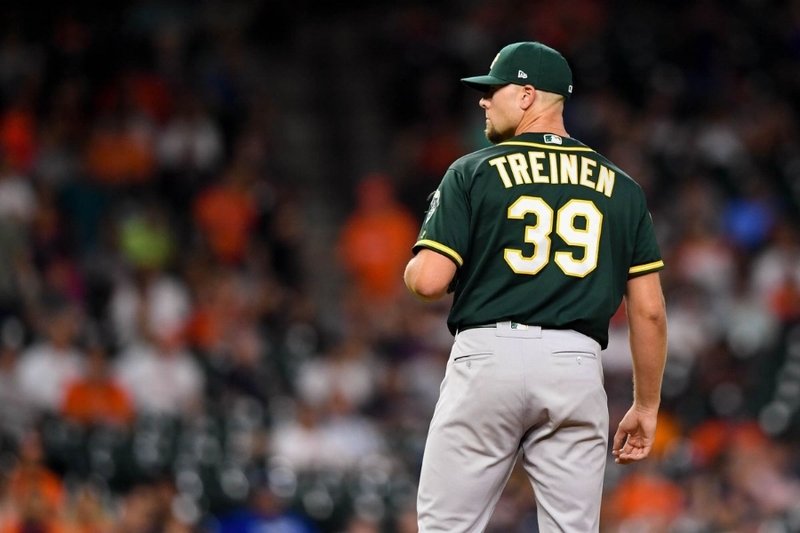 It’s fitting that they’re using a bullpen game in the biggest game of the year, and if the A’s are going to win tonight it only makes sense that Treinen enters a close game to finish off the victory.